The Prince of Wales and the Duchess of Cornwall will undertake a tour of selected Caribbean countries this March. St Kitts and Nevis, Grenada, Cuba and the Cayman Islands. The tour will take place between March 17 and 29, 2019. "The visit will highlight the longstanding relationship with these Commonwealth Realms & the British Overseas Territory of The Cayman Islands. TRH will visit Cuba to highlight the growing bilateral relationship with the U.K. & showcase the cultural links between the two countries." Prince Charles and Camilla’s historic trip to Cuba will take place from Sunday 24 March. The first ever visit to the state by a British Royal will take in Havana and the island’s south coast. The @foreignoffice says it won’t stop UK’s ‘open and frank’ dialogue on human rights. Charles and Camilla will be welcomed by Cuba's president, but Clarence House says they have no plans to meet with Raul Castro. Their visit will take in the classic cars, dance studios and boxing gyms of Havana, where Prince Charles will learn more about Cuba's organic farming. The President of Cuba, Miguel Díaz-Canel, will host an official dinner for the couple during their stay. They will also attend a wreath laying ceremony for the essayist and poet Jose Marti, visit one of the country’s leading dance studios and view British classic cars. Charles and Camilla will be in Cuba from March 24th to 28th, flying home on/by the 29th. Wonder if a (leased) "royal yacht' will be used like the last time they toured the Caribbeans. This should be interesting. I think it has been about a decade since they have done an official tour of the region. I doubt it, they got a lot of criticism for the yacht. It’s going to be a difficult visit for Camilla. She really minds the heat and humidity. I suspect she will spend a few days in the area before the start of the tour to acclimatise and work through her jet lag. Well I live in Barbados. No idea that they were coming. But there are plenty British tourists here for cricket. Camilla better come prepared...it is HOT! They will be very sun tanned when they leave to go back to the UK. Well I live in Barbados. No idea that they were coming. The visit has only been confirmed this afternoon. Their Royal Highnesses will visit 6 countries, 10 islands and 1 Overseas Territory, and undertake 50+ engagements throughout their tour. Sounds like a very interesting tour. Now I’m really curious to see where the Cambridges go on tour this year, since I was expecting them to finally go to the Caribbean. I think it will be a tour in Africa, or perhaps, part of the M-E.
Not sure if this has already been posted, but Clarence House has just tweeted this programme. Its their 1st visit to Cuba which will be historic,looking forward to this trip. Do we know what time they are arriving? Which RR are going? Haven’t seen anything on twitter and only Chris Jackson on Instagram. They are actually my favorite couple to watch on a tour. Harry and Meghan in second but back a bit. 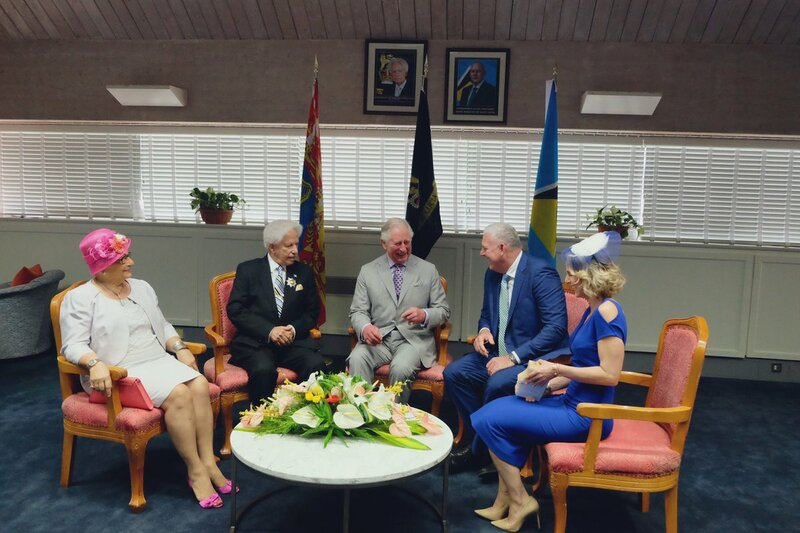 To begin the visit, The Prince is meeting with Prime Minister Allen Chastanet and Governor-General Sir Emmanuel Neville Cenac. Prince Charles is attending an event to celebrate 40 years of St Lucia’s independence. A military parade involving police, members of the fire service and cadets kicks off the celebrations. I would just like to shout out that I have sat in that room that Prince Charles is in, in the picture eya posted. It's the First Class/Business Class Passenger lounge. As much as I like following all royal tours, Charles and Camilla are tied with Harry and Meghan just about evenly. Both couples actively show that they're enjoying where they are and with what they are doing. That, to me, makes all the difference. I also have to admit that for a tour in a warm climate, I look forward to Camilla's outfits the most. Is Camilla not joining him in St Lucia?? I agree Osipi, I like her fashion in warmer countries. 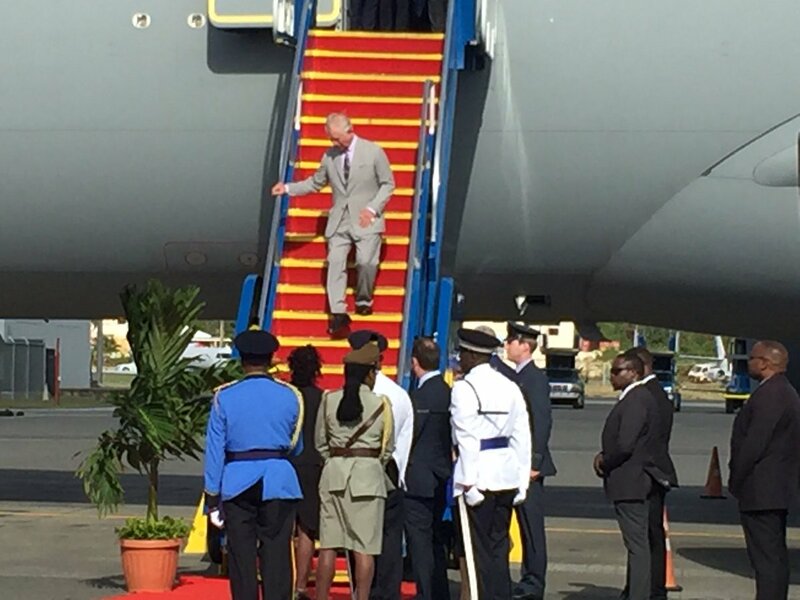 No, Duchess of Cornwall will join him in Barbados on 19 March.